Gokyo valley trekking is a stunning excursion trip to the attractive Gokyo Ri and Gokyo lakes which offers one of the marvelous views of the mountain peaks including a great view of Mount Everest and other wonderful Himalayas. This trek also provides a closer view of Ngozumpa Glacier- it is the one of the largest Himalayas of Nepal. There are so many popular mountain peaks lies around Valley, that is an 8000m high from the sea level such as Mount Everest, Lhotse, Cho Oyu and Makalu which are very clearly observe from Gokyo Ri above Gokyo Lake. The trek also provides you big opportunity to discover ancient and old monasteries, sacred Mani stones, Buddhist culture and traditions, floras and faunas, holy prayer flags and lifestyle of Himalayan’s people while residing in close by run mountain lodges amongst the Sherpa village. 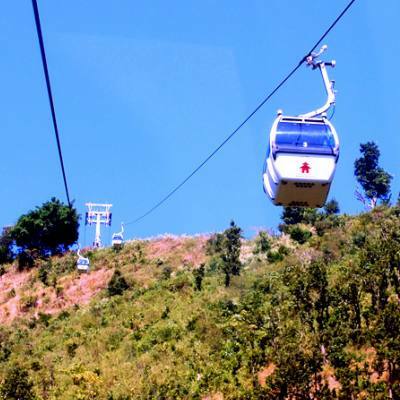 It will be a different trip for those visitors who desire to try something really new in the Everest region. Therefore, the trek provides you tranquility for landscaping loving soul and peace and an exciting opportunity to daring souls. The trek will led through the local Sherpa guides and stay at local lodges and then trek into the unique and beautiful village of Sherpa. The journey of Gokyo valley, we begin with a sightseeing trip to Kathmandu city. Next day after a 35-minute scenic flight to Lukla at the Tenzing/ Hillary airport from Kathmandu and arriving tiny airfield then the real adventure trek begins here. 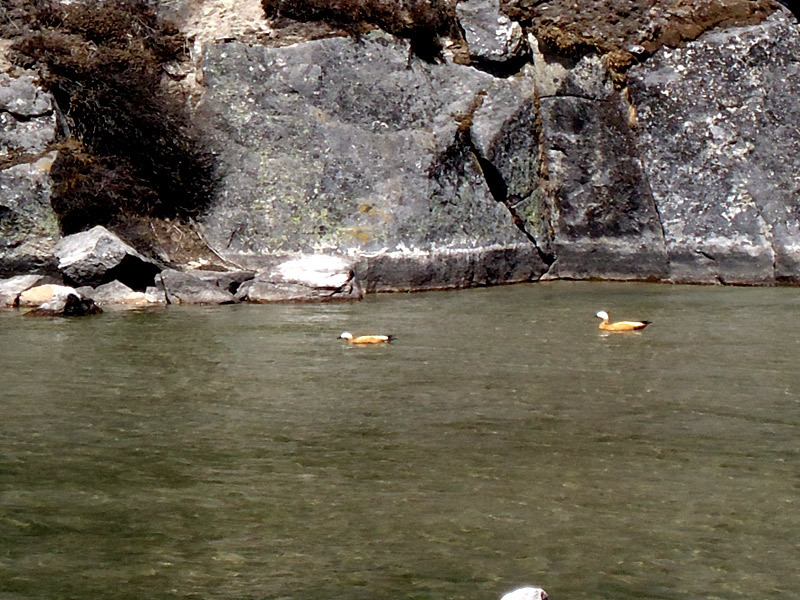 We use the main Everest path through Dudh Koshi Valley till Sherpa village of Namche Bazaar. 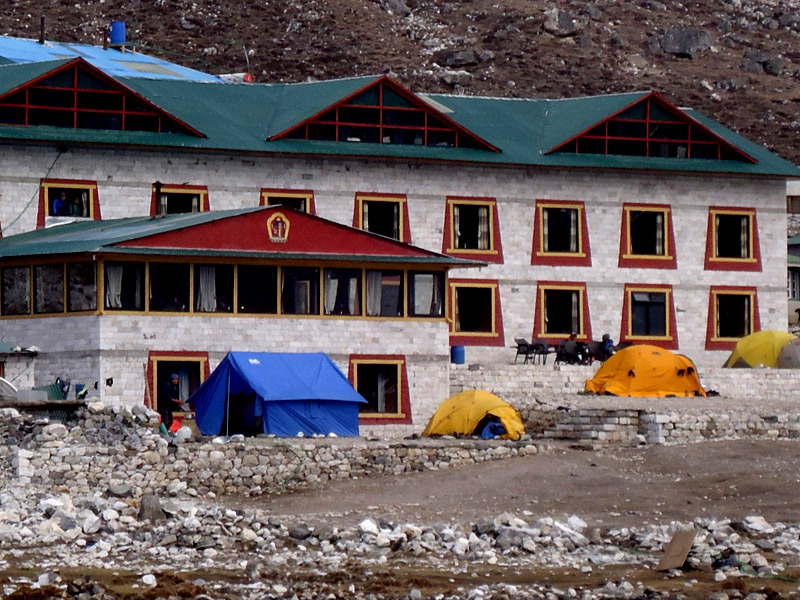 At Namche Bazaar, we spend two nights for acclimatization purpose and move ahead through Gokyo valley trail to Gokyo. We walk by the lateral moraine of Ngozumpa Glacier and turquoise lakes to get Gokyo Valley. There are, spending acclimatization day and exploring the Gokyo Ri and get a chance to see the panoramic and majestic views of Mount Everest, Lhotse, Cho Oyu and Makalu and much more other spectacular mountain ranges. During the trekking, we also explore the serene fourth and fifth Gokyo Lakes. The daring level starts with Cho La pass crossing during the trip. You should follow the guide’s information in Cho La pass throughout the trekking otherwise you might get trouble in the mountain. There are two other encounters, the Kalapatthar (5545m) and Everest Base Camp (5364m), however, are sensible worth strength. After trekking to Gokyo valley, we will return back at a relaxing step to Namche Bazaar and Lukla for our departure to Kathmandu. NOTE: Please note down some important things about program; if you land at Tribhuvan International Airport (TIA) in Kathmandu after 4 pm you would be informed by our airport representative about tomorrow’s (second day) Kathmandu valley sightseeing programs on the way to hotel and then pre-trip meeting would begin the sightseeing tour next day. However, if you landing very earlier than 3 pm then your pre-trip meeting would start on that same day either at your hotel or our office in Thamel as per your choice. During your pre-trip meeting, we will introduce you to your trek leader/guide. Please get this opportunity to ask questions about your trek, tour and important things. In the meeting, please make sure you bring a passport, three copies of passport-size photos, and a readable copy of your travel insurance paper. During this meeting and please clear the due balance, if some and sign the rightfully required trip procedures as well as the no- problem repudiation. Overnight at hotel. All airport and hotel transfer as per the itinerary. Hotel Accommodation in Kathmandu three star Hotel on Bed & Breakfast basis. 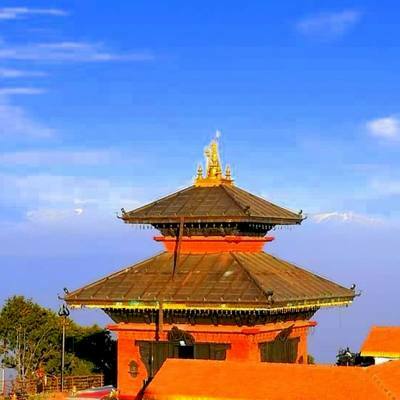 Kathmandu valley sightseeing tour with a professional guide. Airfare (Kathmandu -Lukla -Kathmandu) and departure taxes. 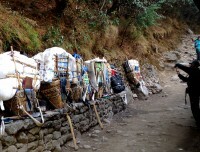 Meals on full board (Breakfast, lunch, and dinner) and boils water in the mountain while trekking. Available Local fresh fruits while on the trek. Teahouse and tented accommodation during the trekking and climbing. 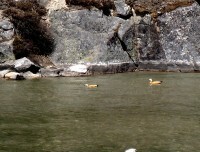 Sagarmatha National Park permits and TIMS permit for trekking. All Staff salary, insurance, equipment, flight, lodging, and food. Exclusive and medical kit bag. International airfare to and from Nepal. Extra night accommodation in Kathmandu because of early arrival, late departure, early return from mountain (Due to any reason) than the itinerary. Certain Sightseeing/monument entrance fees. Which is not mention above package. Any others expenses which are not mentioned in above section. Day 01Arrival in Kathmandu (1345m) After arrival at Tribhuvan International Airport (TIA) in Kathmandu, you will meet our representative who will receive you outside the airport with Nepal Glacier Treks & Expedition’s signboard and transfer to your respective hotel by private vehicle. You will enjoy the evening yourself and then have a pleasant stay at a hotel in Kathmandu. Day 02Pre- trip meeting and Kathmandu valley sightseeing After having breakfast in the morning, at 9 AM your Kathmandu valley sightseeing tour will start. You will use a private vehicle and an experience as well as a professional tour guide at your disposal. On this day, you will visit some world heritage site sightseeing including the cultural and historical site of Kathmandu Durbar Square, Patan Durbar Square and largest legendary Buddhist stupa of Swyambhunath and Bouddhanath, and a very famous Hindu temple of Pashupatinath which are listed in world heritage sites by UNESCO. If we have plenty time, will visit Bhaktapur Durbar Square- it is a city of Devote and back to the hotel then have a pleasant stay at overnight in Kathmandu. Day 03Fly to Lukla (2810m) and Trek to Phakding (2610m) 3- 4 hour walk After breakfast in the morning, we will take a short flight nearly 40 minutes from Kathmandu to Lukla airport from where we start our Gokyo valley trek. During the flight east to west we will see magical views of different Himalayan Mountain peak like as Mt. Kanchenjunga, Mt. Lhotse, Mt. Nuptse, Mt. Makalu, and also we can get close- up view of Gaurishankar, Langtang and many other beautiful Mountain peaks throughout the flight. After landing we will meet our other crew members and before some packing and starts trek we may take a rest or explore the village, we will begin our trek through the Lukla until Phakding. We will walk along the bank of Dudh Koshi River where we catch the main path to Namche Bazaar, situated just above Chaurikharka (2713m). The hiking is very easy and after passing through the small village of Ghat (2550m) and will be heading toward the Phakding village. After Phakding we don’t hike up and have a pleasant stay at a guesthouse in Phakding. Day 04Trek to Namche Bazaar (3441m) 6 hour walk On this day, after hot breakfast, we begin the walk along the Dudh Koshi. We cross Dhudh Koshi by Hillary suspension bridge, Beautiful pine forests, river sounds, and might see some of the wild animals too. We toward Namche Bazaar via forests of blooming rhododendron and reach the top of the ridge that offers beautiful views of Mt. Everest (8848 meters), Nuptse (7879 meters), Thamserku (6623 meters), and Kusum Kanggru (6369 meters) mountains. Finally, we reach the Namche Bazaar, which is known as rich of Buddhist Sherpa culture as well as the home of Sherpa people, where some shop and traders are selling Tibetan Jewelry and handicrafts from Tibet and also their own local product like Potato, wheat, maize, millet etc. There are so many facilities such as shopping, money exchange service, bakeries, cafes and the internet and much more. We will check in to a local guesthouse and have a pleasant stay at a guesthouse in Namche Bazaar. Day 05Acclimatization day in Namche Bazaar Today, we take a rest in Namche Bazaar. This is a very important to spend a day because altitude sickness can be quite serious and risk for trekkers. After breakfast, we will explore the Namche Bazaar and their traditional cultural, old Sherpa village, and as well as Khumjung, Khude or Thame villages. We visit Sagarmatha National Park’s headquarters, Sagarmatha is traditional Nepali Name for Everest, which is located in the hill top from where we can explore spectacular views of Mt. Everest, Mt. Lhotse, Mt. Amadablam, Mt. Kwangde, Mt. Thamserku, Mt. Kusum Kanggaru and green views of National Park from the hill top. The National Park office displays to learn more about Sherpa people, traditional culture, and their custom. We hike up slowly to Syangbuche airstrip, one of the highest airstrips in the world which is located in 4200 meters and it is the best view point. Another popular area is Khumjung village it’s a Museum, Hillary’s school, and hospital. We will return to Namche Bazaar after exploring this delightful Sherpa village and beautiful mountains and have a pleasant stay at a guesthouse in Namche Bazaar. Day 06Trek to Phorste (3680m) 6 hour walk Today, we leave Namche Bazaar in the morning on a trail with steady up and down. Besides the trail, we can see rhododendron forest, juniper forest, Himalayan pheasants, Thars and musk deer. We start moving downhill to Kyanjuma. And then from Sansa, we catch the Gokyo trek trails and at Mong, we get a beautiful glimpse of Tawoche, Ama Dablam, Khumbila and Thamserku mountain peaks. From Mong, our trail goes down to Dudhkoshi River after which it is a tough ascent through blooming rhododendron forest before reaching Phorste. 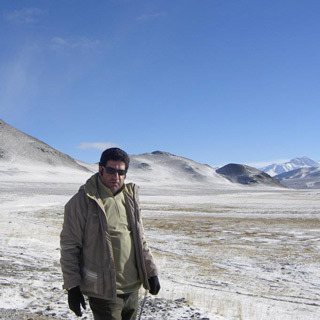 From there we get superb vistas of Cholaste and Tawache mountain peaks. Overnight at a guesthouse. Day 07Trek to Machhermo (4470m) 6 hour walk Today, we will cross a bridge over the Dudh Koshi River, throughout the walking can observe the wildlife facts that musk deer, Pheasants, mountain goats and many other floras and faunas. We need to go ahead through the forests, bridges, and waterfalls before getting Dole. From the Dole, we hike up on a steady trail through a scenery edge with vistas of Thamserku, Kantega and Cho Oyu mountain peaks. We walk up from the village of Luza and ascend above the Dudh Koshi River and then continue hiking through the sandy trails and small villages before getting Machhermo. After reaching our end point, we will visit some significant areas like Himalayan rescue hospital, where will get some information about high altitude sickness, its protection, and primary management. Overnight at a guesthouse. Day 15Final departure This is the last day of your package. You will be assisted with your last moment preparation and dropped at TIA, Kathmandu from where you will board the flight to your next destination.